Liverpool are unsurprisingly well-represented in the nominations for the 2017 African Footballer of the Year award. Sadio Mane and Mohamed Salah have both been named on the shortlist having guided their respective countries to the World Cup finals for the first time in years. There is also a place for RB Leipzig’s Naby Keita, who agreed a deal in principle in the summer that will see him join Liverpool in July 2018. You can vote for your favourite via the BBC Sport website. Mane played an influential role in helping Senegal beat South Africa 2-0 to secure a World Cup spot for the first time since 2002. The winger has been something of a revelation since signing for Liverpool from Southampton in 2016, winning the club’s official Player of the Year award and earning a place on the Ballon d’Or shortlist. 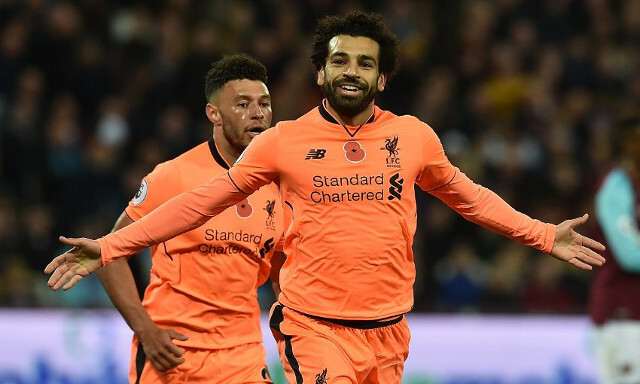 He has thrived in Jurgen Klopp’s setup on Merseyside, emerging as not only a key component for his club but also a talisman for his international team. Salah played a similarly decisive role to Mane as his injury-time penalty secured the win Egypt needed against Congo to book a World Cup spot for the first time since 1990. The winger has been a standout figure since signing for Liverpool in the summer, with 12 goals in 17 games already to his name. He is now only three goals away from surpassing Philippe Coutinho’s total of 14 in 2016/2017 to secure the highest tally from an individual Liverpool player in a season since Luis Suarez’s prolific 31-goal 2013/2014 campaign. Salah also won Liverpool’s Goal of the Month and Player of the Month awards for both August and September- something many have deemed as a representation of his incredible Egyptian following. Though Keita isn’t technically a Red just yet, labelling him as one seems justified. The midfielder will arrive at Anfield next summer for a fee of around £48million, with Liverpool having been unable to secure his services in the last transfer window and instead opted to pay his buy-out clause a year early. Keita was a key component of the Leipzig side that finished runners-up in their first season after being promoted to the Bundesliga in 2016. Thanks to his all-action approach, it didn’t take long for the Guinean to attract the interest of Europe’s top clubs.